Happy Thanksgiving to all of you, your family, and your friends!! Because it's a holiday week, I've decided to share links for replays of shows with a few of the many guests I've been thankful to have on my Live Your Music show during this past year. I am also thankful that next week it will be two years since I hosted my very first BlogTalk Radio show! The inspiring guests I've chosen to feature in this Thanksgiving newsletter include: Chris Austria, Cristi Earnshaw, Robert Berry, Shiloh Hobel, and Lynn Rae Lowe. Each one of them is a great example of living your music and they are each making the world a better place in their own ways. 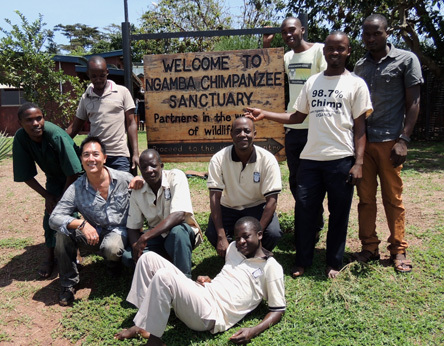 Chris Austria works for the Ngamba Island Chimpanzee Sanctuary in Uganda. This haven is home to 48 orphaned chimpanzees that have been rescued from the illegal wildlife trade. They live on 95 acres of forest habitat. The sanctuary was founded in 1998 by Dr. Jane Goodall and a group of founding trustees. Originally from San Francisco, California, Chris has worked with tigers, lions, leopards, birds of prey, and a variety of animals for many years at Marine World Africa U.S.A., Six Flags Discovery Kingdom in Vallejo, California and the San Francisco Zoo. To hear my 08/26/15 Live Your Music show with Chris Austria, click here. 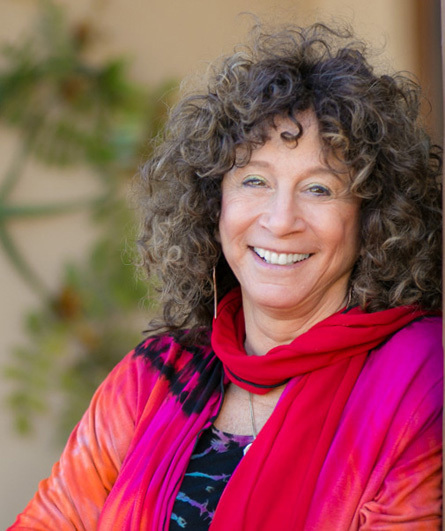 Cristi Earnshaw, The Abundance Whisperer, says, "There is always a major transformation in a room after removing the clutter and then organizing the remaining contents." 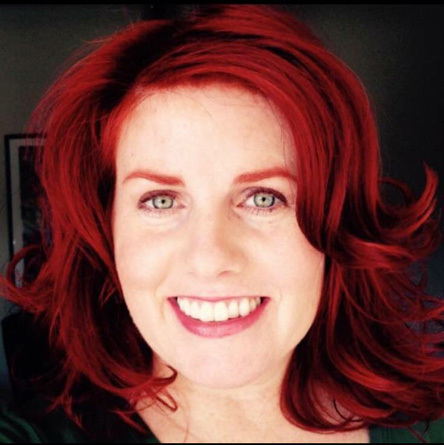 She teaches her clients to develop new, empowering habits during the process of working with them. She is a firm believer in removing things that don't carry the 'Love Energy' and has changed how I think about what to keep! 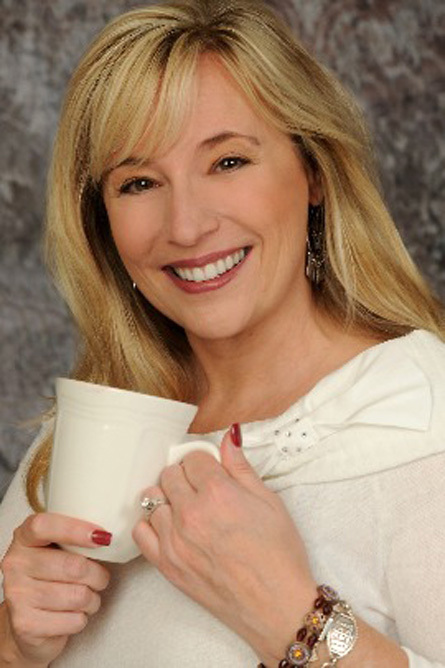 To hear my 07/15/15 Live Your Music show with Cristi Earnshaw, The Abundance Whisperer, click here. Robert Berry is a recording artist, singer, songwriter, record producer, and owner of Soundtek Studios in Campbell, California. 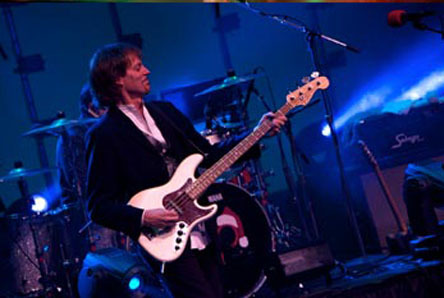 In addition to his own music, and performing with others, Robert is the creator of a fun holiday rock band called December People that plays classic rock Christmas songs. 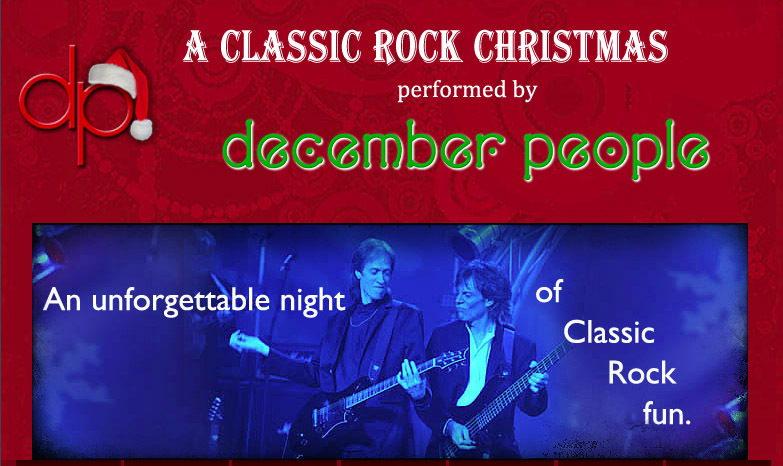 They perform a series of shows called A Classic Rock Christmas at this time of year. 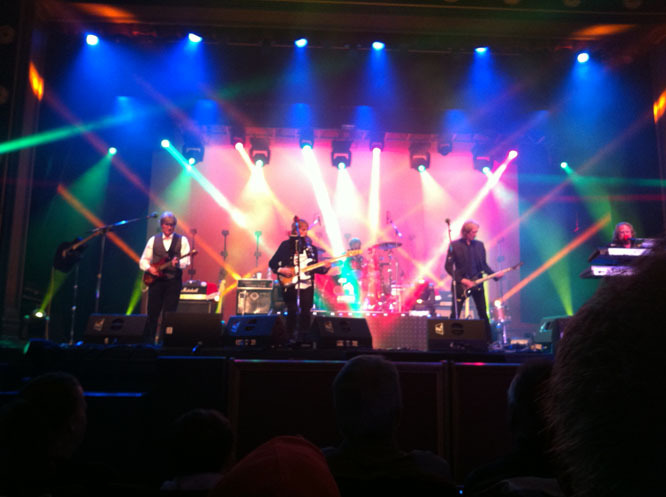 To hear my 10/28/15 Live Your Music show with Robert Berry, about December People, click here. Shiloh Hobel is a Bay Area native, music industry professional, recording and live performance vocalist, musician, composer and industry award recipient. She's also active with the Grammys and West Coast Songwriters. 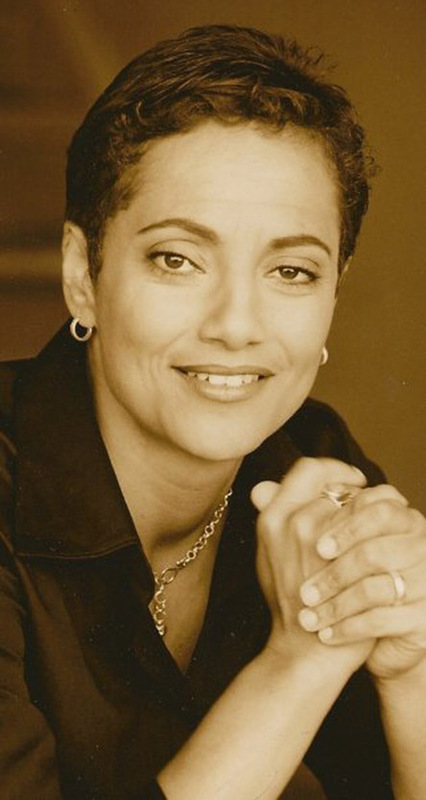 Shiloh’s early exposure to music by her musical family, and deep connection with music, inspired her to pursue a career in both the artistic and business management sides of the industry, and has dedicated her passions to supporting arts and education. To hear my 12/03/14 interview with Shiloh Hobel on Live Your Music, click here. Artist Lynn Rae Lowe has lived her life somewhere between the right and left brain with zeal and achievements across many creative disciplines. Her first one-woman art exhibit was as a college sophomore, since then she has received two Niche Awards for creative design, garnered prestigious museum exhibits, as well as having international gallery representation for her colorful and creative art. 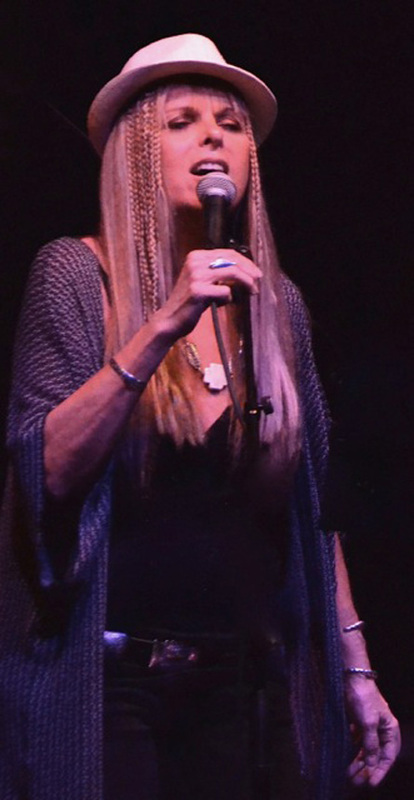 To hear my 12/10/15 Live Your Music show with Lynn Rae Lowe, click here. Clicking on the links for the shows — and also on each of the photos above — will take you to the show's replay where there is more information about each guest and including how you can connect with them online. I am thankful for all of the inspiring people who have chosen to be my guest for Live Your Music during the past two years. Every conversation has inspired me by hearing the various ways others are living the music they hear calling them. During the shows I always like my listeners to think of what they feel inspired to do. I am hoping that hearing these interviews will encourage you to live your music in your own ways. As a reminder, you can listen to On-Demand episodes for all of my Live Your Music shows by clicking here. I hope you'll take the time to listen to one or more of these inspiring Live Your Music interviews during the next week. I am wishing you, your family, and friends a Thanksgiving full of love, laughter, hugs, music, joy, and fun. 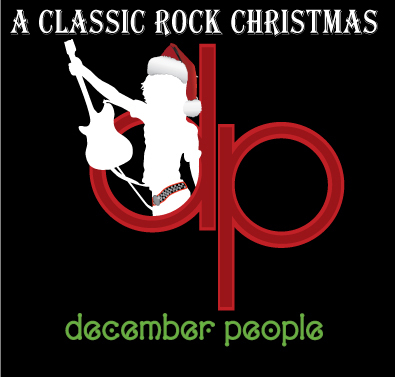 My inspiring, talented, and fun friend Robert Berry was back on Live Your Music today talking about the new December People performances coming up and the release of their album – A Classic Rock Christmas – featuring well-known holiday songs re-created in the styles of popular rock bands. December People always brings huge fun, holiday spirit, gratitude, and reminders of the importance of giving back to your own community by making donations when you attend their shows. We also talked about how your dreams can come true when you live your music! 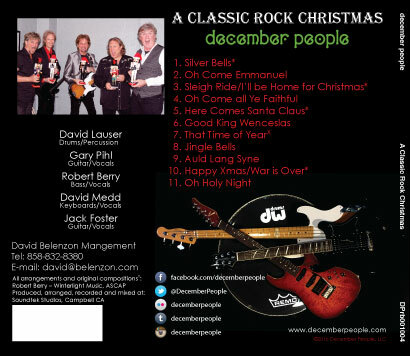 In addition to his own music, and performing with others, Robert is the creator of December People, his holiday band that plays creative and high energy classic rock Christmas songs. When you listen to my interview with Robert Berry, you'll hear a brand new version of the song Silver Bells in the style of Tom Petty from A Classic Rock Christmas. I love the new album and wish it had been possible to play several of the songs. The release date for the new album is November 7, 2015 which is when they perform their first show for this year in Monterey, California. 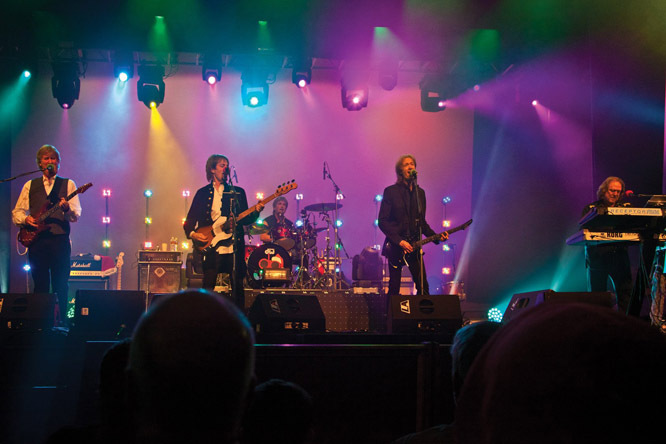 The songs on the new album are performed in the styles of the following rock artists: Tom Petty, The Eagles, Fun, Toto, The Tubes, Dire Straights, Van Halen, Train, John Lennon, and Kansas. There is also an original Robert Berry Christmas song titled That Time of Year on the album. I've enjoyed all of the albums before this one, but this new album is my favorite. I can't believe the amazing creativity and musical prowess of Robert Berry, Gary Pihl, David Medd, David Lauser, and Jack Foster when they perform as December People. 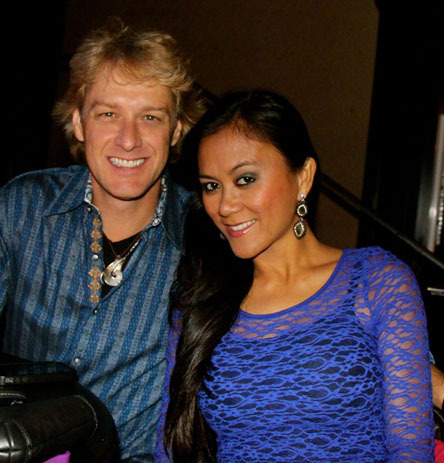 We're looking forward to seeing the new show in Pleasanton, California on Saturday, December 12, 2015. There are two shows that day and we've decided to go to the early show at 2pm. The shows are family friendly and I'm happy that there is an early show in Pleasanton this year! 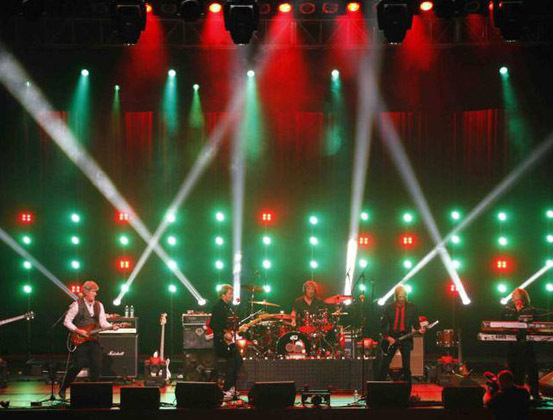 The tickets for the 2015 Classic Rock Christmas tour are selling quickly so click on the website below to get your tickets! While you are listening to our conversation, I hope it will inspire you to imagine some of the ways you can live your music. Please take some time to relax and join me for a fun conversation with Robert Berry about how he is living his music and how your dreams can come true! I am happy to have Aarin Burch on Live Your Music today! To hear my interview with Aarin Burch, please click here. Aarin Burch brings over two decades of creative sensibility, business management and production experience to both Aarin Burch Productions, her film production company, and Laurel Burch Studios. Aarin grew up in the San Francisco Bay Area where she watched her mom, Laurel Burch, hand craft vintage jewelry and produce iconic artworks from inside their own home. Aarin began her own creative journey at the California College of Arts and Crafts where she obtained her B.F.A.and served on the Frameline Board of Directors as an established filmmaker. Her unique aesthetic has given her the chance to create trailers for several feature length films, while also producing and directing her own documentaries including one focusing on Laurel’s life and art. With her films being shown at festivals all throughout the world, she's received notable recognition and established a profound name for herself in both the film and business merchandising industries. 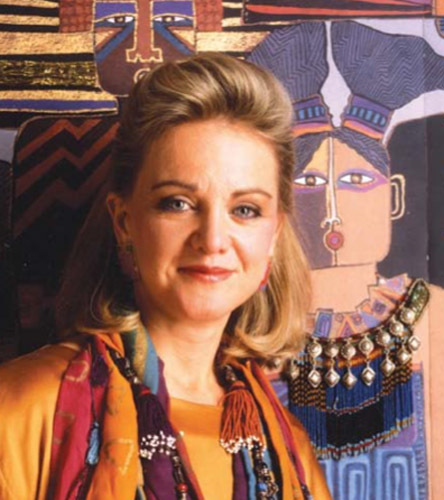 Currently, Aarin is the President of Laurel Burch Studios, where she directs the licensing and business development of the Laurel Burch brand in North America. During her free time, Aarin teaches Kajukenbo — an eclectic Martial Art style — where she holds a 5th degree blackbelt. 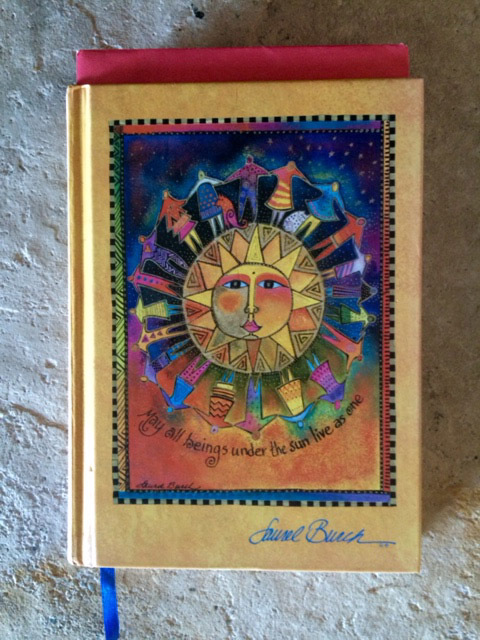 During the show today we talked about inspiring some of the many inspiring quotes by Laurel and I mentioned this quote that is on my Yellow Laurel Burch Journal: "May all beings under the sun live as one." Please relax with your favorite beverage, coffee, tea, or juice, and join me for a conversation with Aarin Burch about her inspiring Mom, Laurel Burch, and how Aarin is living her music. I hope you'll listen to the inspiring interview with Aarin Burch about The Art of Giving, her super creative Mom, Laurel Burch, and how Aarin is living the music she hears calling her. Their intention, and mine, is to help people feel good. I hope you'll forward this message to your family and friends. Let's all do what we can to feel good, help others feel good, and enjoy our time on this beautiful planet! Brett Boyd was my guest for Live Your Music today. 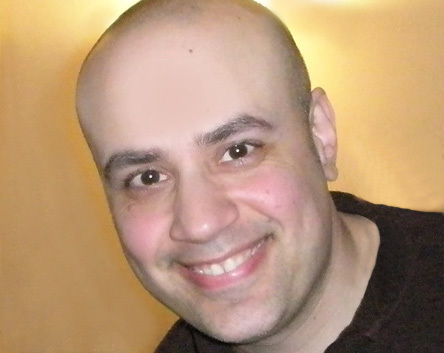 Brett Boyd is an Independent Music Professional who works as a guitarist, lyricist, composer, producer, and educator. 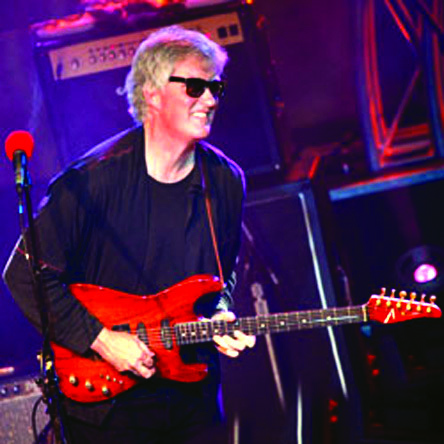 Brett has collaborated with a wide range of artists including members of the bands Pearl Jam and Sound Garden in genres ranging from world music to punk rock, acoustic rock, and electronica. 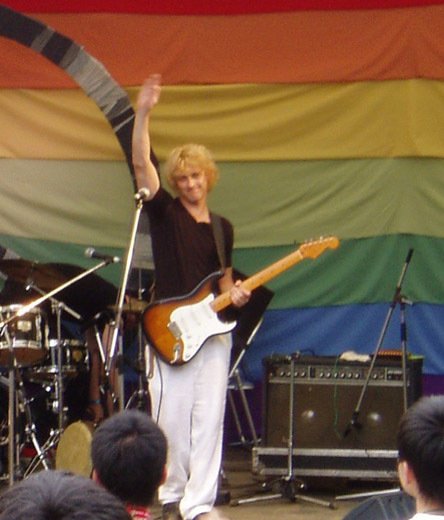 After graduating from college with a BA in English, Brett moved to Tokyo, Japan where he began his music career by working for EMI Music Publishing Japan and Virgin Music Japan and helped to administer one of the world’s most vital music catalogs which includes songs recorded by Carol King, The Beatles, The Rolling Stones, John Lennon, Guns n’ Roses, and Metallica, to name a few. 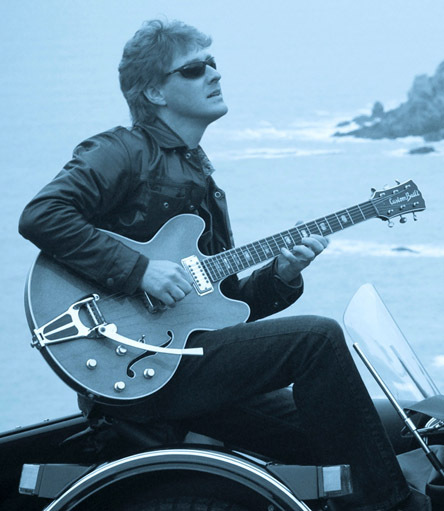 Brett continued to live and work in Japan until the birth of his first son Max, then moved back to Northern California and started his music school, Guitar School Rocks, which offers music education and artist development to students of all ages and ability levels. 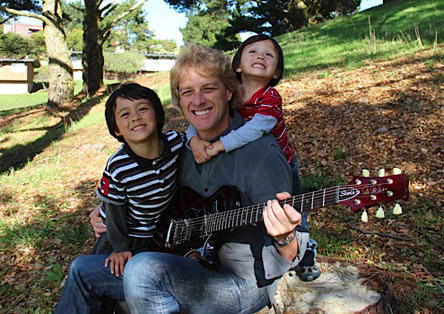 Brett lives in Mill Valley, California with his wife and two boys and is dedicated to helping others enjoy the benefits of both listening to and making music. During the show we talked about the joy music adds to life and how Brett is living his music with his guitar school, by performing with his band, and with his family. During the show I played one of Brett's original songs, Fallen for Filapina which he wrote for his beautiful wife, Odette. We talked about the making of the fun music video that was created to go with the song. You'll want to see the video after you listen to the show – but please listen to our conversation about it first! Click here to watch the Fallen for Filipina music video on YouTube. Please grab a cup of coffee, tea, or your favorite beverage and listen to the replay of my Live Your Music conversation with Brett Boyd. Talking with Brett was inspiring and fun. I'd like to talk with him more about his time in Japan, his bands, and what it's like to attend his guitar school so I am planning to find a time to have him back for another music conversation. I hope you'll listen and then forward this message to your family and friends so they can hear the show. PS: My book, The Art of Living a Life You Love, can help you live your music and love your life. TAOLALYL is available in soft cover, hard cover or in Kindle, Nook, and other eBook formats. You can get it online at either Amazon.com or Barnes & Noble, or directly from the publisher Balboa Press. Just click on one of the links above to take a look inside and order the book. What a week! I've been on the radio two times this week and it was fun doing both shows. Today was a special Live Your Music show that is a tribute to the very inspiring Earl Nightingale and his company, Nightingale-Conant. As a Depression-era child, Earl Nightingale was hungry for knowledge. From the time he was a young boy, he would frequent the Long Beach Public Library in California, searching for the answer to the question, "How can a person, starting from scratch, who has no particular advantage in the world, reach the goals that he feels are important to him, and by so doing, make a major contribution to others?" Earl Nightingale's desire to find an answer, coupled with his natural curiosity about the world and its workings spurred him to become one of the world's foremost experts on success and what makes people successful. 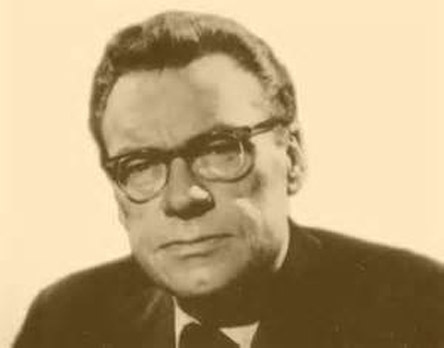 Earl Nightingale's recording entitled The Strangest Secret, was the first spoken word recording to win a Gold Record by selling over a million copies. In The Strangest Secret, Earl had found an answer to the question that had inspired him as a youth and, in turn, found a way to leave a lasting legacy for others. In 1960, Earl Nightingale and his business partner Lloyd Conant began an "electronic publishing" company – Nightingale Conant – which has become a multi-million dollar giant in the self-improvement field. During the show you'll hear my husband, Dudley DeNador, and me talking about what Earl Nightingale called "The Strangest Secret" and also what he called "The Magic Word" in his timeless classic audio program, Lead the Field. 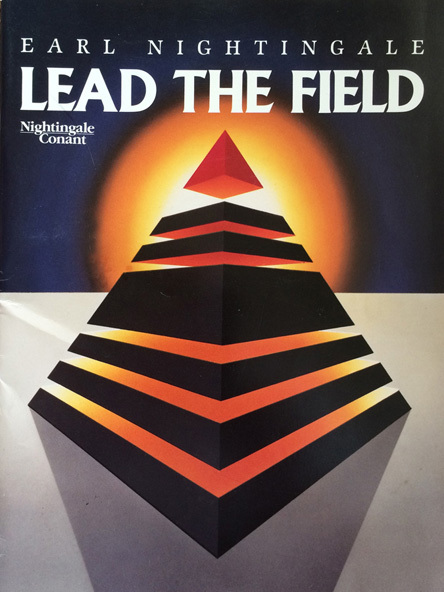 To get a copy of Lead the Field on CDs, click here. We wanted you to hear Earl's voice, so during the show you'll also get to hear two short recordings of Earl Nightingale talking about what he calls "The magic word" and about the importance of enjoying life. 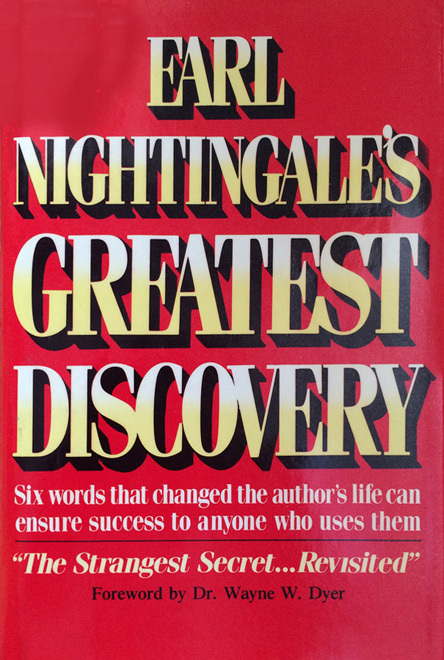 During the show I also mentioned the book, shown below, Earl Nightingale's Greatest Discovery. The foreword for this book was written by Dr. Wayne Dyer. The audio program and the book are treasures in our personal library and we recommend them both. 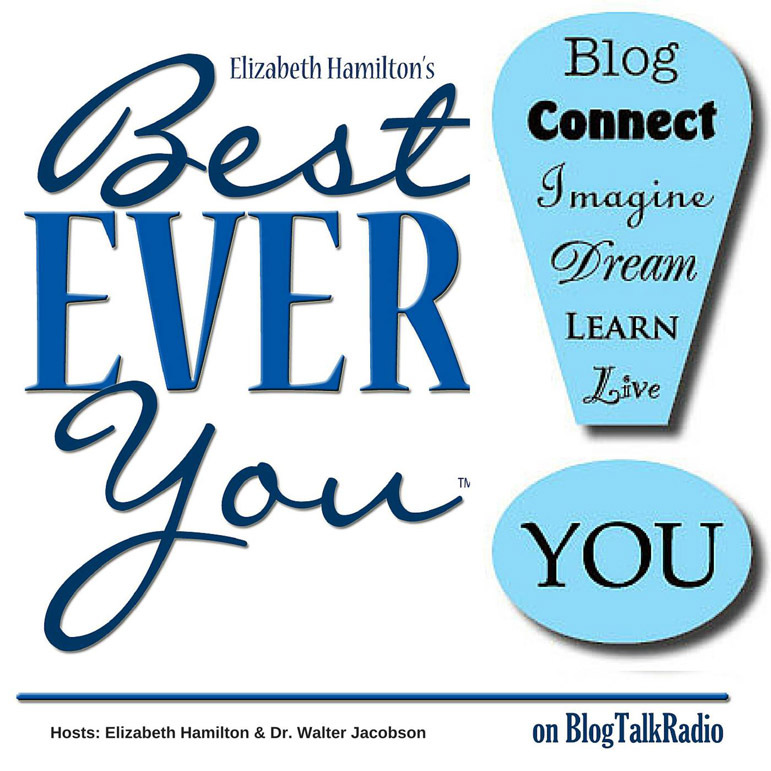 Yesterday, I was honored to be the guest for the Best Ever You radio show, co-hosted by Elizabeth Hamilton-Guarino and Dr. Walter Jacobson. During the show we talked about why I wrote my book The Art of Living a Life Your Love, what I love about being a life coach, and why I named my radio show Live Your Music. We also talked about Elizabeth Hamilton-Guarino's book Percolate… Let Your Best Self Filter Through and Dr. Walter Jacobson's book Forgive to Win. Being on their show was fun. I loved what they both had to say about their books, mine, and the differences between therapy and life coaching. To hear the replay of me as the guest on the Best Ever You show, click on the following direct link. Please grab a cup of coffee, tea, or your favorite beverage, and enjoy listening to the recordings of my Live Your Music show about Earl Nightingale and my guest appearance on the Best Ever You show. I would love for you to listen and then forward this message to your friends so they can hear one – or both – of the shows. My birthday is on Christmas Day and I love it. Over the years I've heard many people say, "Oh, you poor thing!" when they hear it — but I love it. Maybe it's because my mom always made me feel great about having my birthday on Christmas. She loved to tell the story about how "Silent Night" was playing when they took her into the delivery room and when she came out with me she heard "Joy to the World." My mom always made me feel like I was her "Christmas Joy" and it is one of the reasons Joy is my chosen middle name. I also like the name Joy because it reminds me to look for the joy in everything I do, see, hear, and experience. Just hearing the word JOY makes me focus on joy and feel good. Santa and me — when I was three. I feel LUCKY to have such a special day as my birthday. I always get to be with my family for my birthday. I am thankful to have my birthday be such a fun holiday and to be able to spend it with people I love. Last year I received a note from my husband that said, “I want to thank you for being born on Christmas. You have re-infused Alex and me with the spirit year after year!” What a great way to start my day! I left the note up to remind me how my love of the season can help others enjoy it more too. My husband, son, and I have written and recorded a beautiful Christmas song. The song is called "Merry Christmas" and was recorded by our treasured friend Robert Berry, owner of Soundtek Studios, in Campbell. My husband, Dudley, sang the song and played guitar. 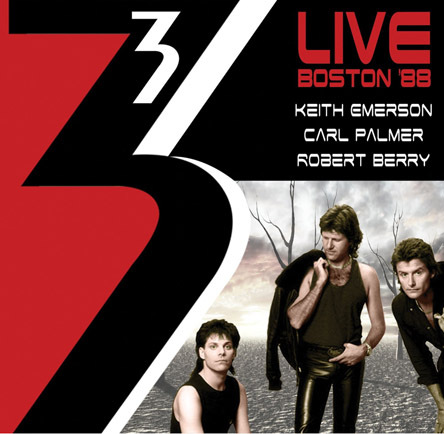 Robert Berry did a masterful job on the keyboards and the recording of the song. I would love for you to hear our Christmas song — so please click on the link to hear Merry Christmas online at CD Baby. Several years ago, Wayne Dyer sent me a copy of a little book he wrote called “Happy Holidays!” and in the book he talks about how much he loves the holiday season and has lots of reminders of how we can enjoy them more as adults by being more like a child. "If you can get back to that time of your life when you were a child, enjoying every aspect of this glorious season, you can rid yourself of the 'holiday blues' permanently. As a child, the shopping was something that filled you with excitement, and you were able to ignore the crowds. The time you spent decorating, wrapping, celebrating, worshiping, and being with your family was a pure delight." Children view the holidays as a positive, fun, and joyful time of year. It is possible to change the way you look at the holiday season and have more fun, more joy, and actually look forward to it each year. The common themes for all of the ways of celebrating the Holiday season are time with people you love, a feeling of connection with people who may be far away, gifts of love, and time with people we love. In my opinion the Holiday Season is for giving and receiving the gift of love and having time with the people who matter most to you. The holiday season is a time for giving, loving, savoring, magic moments, beauty, wonder, believing, receiving, and having fun. It is an opportunity to share the gift of love and create memories that you will treasure. What are your favorite ways to spend your time during the holidays? Do you celebrate Christmas, Hanukkah, Kwanzaa — or a blend of one or more traditions? What reminders would you add to my list? I would love to hear how you enjoy spending the holidays! Give yourself the gift of love — take great care of your Self. Give yourself the gift of time — with the people who matter most to you. Give people you love the gift of your love, time, attention, and appreciation. I wish you Love, Laughter, Hugs, Fun, Joy, and time to enjoy the holidays with your family and friends! 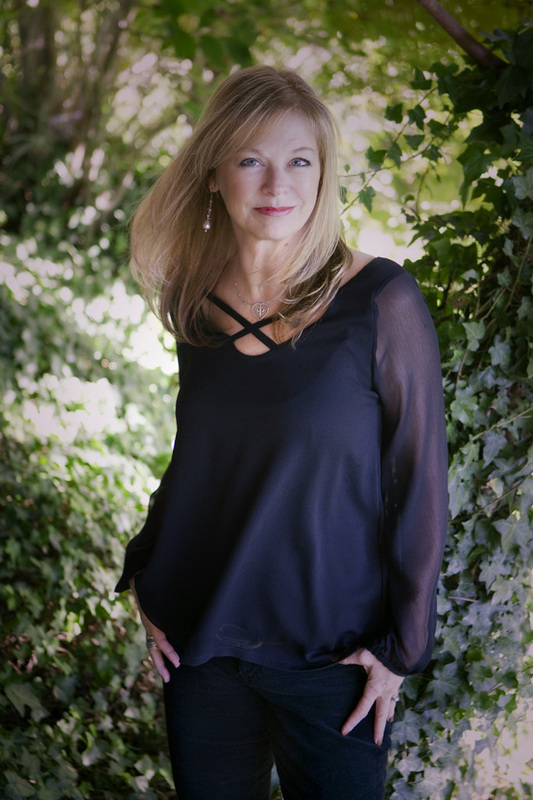 My guest for Live Your Music on 04/16/14 is Jenny Walsh. 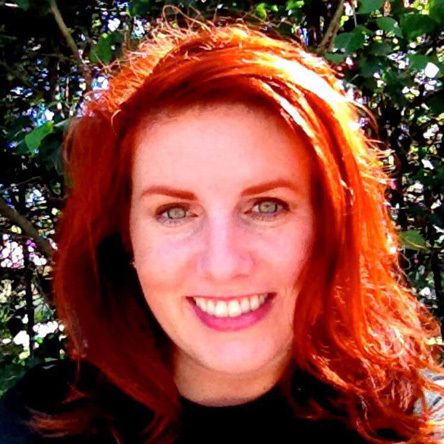 Kent Middle School Assistant Principal, Jenny Walsh, was born in San Francisco and then attended K-12 schools in Marin County, California. Jenny is a graduate of both Bacich Elementary School and Kent Middle School. After graduating from Marin Catholic High School, she attended UCLA where she received her Bachelor of Arts degree in Theater. Jenny's experiences in college included a year abroad in England sponsored by Sarah Lawrence College, where she studied with the British American Drama Academy. Later, her interest in American Sign Language lead her to an internship at the California School for the Deaf where she worked in a second grade classroom. She loved teaching so much that she decided to go into education. Upon completion of her teaching credential program through Dominican University, Jenny joined the Kent staff as a fifth grade teacher in 1998. She then taught 6th grade speech and 7th grade language arts. Jenny moved into administration in 2005 when she became Assistant Principal. She holds a Multiple Subjects Clear Credential with a CLAD emphasis and a Professional Clear Credential in Administrative Leadership. Jenny lives in Marin with her husband and two children. They enjoy spending time together hiking and biking the beautiful trails of Marin. Click on the link below to hear the show live, or listen to the recording later. Please forward this message to your family and friends so they can hear the show. Serene, calm, and beautiful is how I would describe the photo below of the sun rising over Corte Madera Creek. One of the reasons I love to get up early is the joy I feel as I see sunrises over the creek behind our home. The beautiful, calm, and serene views give me great joy and a feeling of serenity. Seeing the photo, below, brings back those feelings. I hope you feel serenity and joy as you look at the photo now. how I feel in places and thoughts that are serene. word – to myself or out loud – reminds me of how serenity feels. Serenity feels calm, peaceful, relaxed, and present. It feels like joy. The word serenity brings to mind places I’ve visited that feel serene. and the warm golden sunshine helped us feel relaxed and serene. The first time I saw The Serenity Prayer was in my grandmother’s art studio. paintings she created, they were all beautiful and serene. time for me to be writing about serenity! Serenity is healing to our mind, body, and spirit. It calms us, and it is calm. It is beautiful and blissful. Picture yourself in a serene place. to feel the tranquility that serenity gives as its gift. 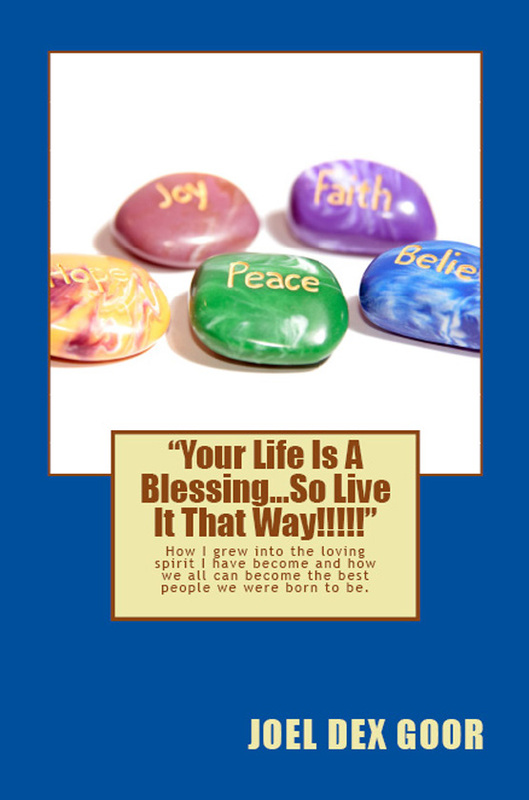 To read more about serenity, click on this link to read Debra Oakland's "Living in Courage" newsletter for July 2013. Today I woke up thinking about inspiration — the feeling and the quote by Patanjali — so I've decided to share both the printed version I've created of it and also the audio of me saying it. Inspiration reminds me of some of my most treasured friends — you know who you are — and also of my family, especially my husband, son, sisters, brothers, and my mom. Inspiration also reminds me of my treasured teachers, mentors, and guides. I greatly appreciate all of the people who inspire me!!! As it says below, "When you are inspired… dormant forces, faculties, and talents become alive." Feeling inspired is feeling fully alive. It is a wonderful, magical, and joyful feeling. Following is a recording I made of me saying "Inspiration." I love the way I feel when I say it, hear it, and read it. How does it make you feel? 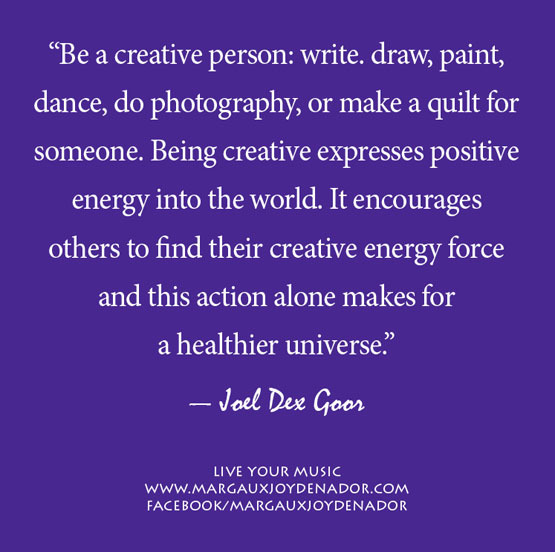 Does it inspire you to allow your dormant faculties and talents to become alive? My guess is YES!!! Who inspires you? Where do you go to get inspired? How do you inspire other people? I hope you will tell the people who inspire you that they do inspire you and that you appreciate them. I think you'll find that the more you appreciate the people in your life, the more inspired you will feel. Enjoy reading, hearing, and sharing "Inspiration" by Patanjali. I wish you love, hugs, laughter, fun, sunshine, creativity, joy, and inspiration in all you do today — and always!!! Book Review: Experience Your Good Now! Louise Hay's newest book, "Experience Your Good Now!" arrived at my home April 23, 2010. I feel honored to have been asked to do a review of the book and I appreciate the complimentary copy sent by Hay House. As someone who has read (and re-read) Louise's books, I found her new book, Experience Your Good Now!, to be a very special addition to my collection of her work. I love the book and the CD that comes with it! In this book Louise writes clearly and with great passion about what "doing affirmations" really means and what affirmations can do for you. After my first reading of her book I was already getting better results from "doing affirmations." The book includes a CD with Louise's warm, kind, and joyful voice giving us even more understanding of how to "do affirmations" and WHY they work as well as HOW to make them work for you. Hearing Louise's voice makes me feel good. I enjoyed listening to the CD —which isn't just her reading the book. The free CD has many additional insights to go with, and enhance, what's in the book. I am now on my second time through both the book and the CD and I love what I feel when I read what she's written AND when I hear her voice as I drive my car. I can also imagine walking and listening to Louise's CD — in fact as I write this I feel inspired to take a walk while I listen to the CD. Have you ever noticed that sometimes you need to hear something said in a slightly different way to REALLY get it? In her new book, "Experience Your Good Now!" Louise Hay says some new things that really helped me get the point that EVERYTHING I say is an "affirmation." Whether what I say is about what I want, what I love, what I enjoy, what I hate, what I fear, what I'm angry about, what I'm jealous about, or what I feel resentful about — EVERY thought we think — or say out loud — is an affirmation!!! While reading "Experience Your Good Now!" I got it. Now I will always pay close attention to what I choose to say, what I choose to think, and HOW I say things to myself and others!!! As Louise Hay says on the back cover of the book: "It takes some time to go from a seed to a full-grown plant. And so it is with affirmations — it takes some time from the first declaration to the final demonstration. Be Patient!" Have you read any of Louise Hay's books? Have you heard her warm, loving, and inspiring voice? Louise Hay is a treasured teacher in my life and in the lives of people all over our planet.The world is a happier, brighter, more creative, and fun place thanks to Louise Hay. Do you like to take books with you when you travel? The small size of this book makes it a perfect size to take with you wherever you go. Whether you are new to Louise Hay's work, or have been a fan for years, I highly recommend buying her new book! If you knew it would be Fun? If you knew you could do it? If you Believed in yourself and Believed in your Dreams? If you knew it would Feel Good? If you knew it would help even one person feel more JOY? If you knew people were waiting for you to do it? If you knew it is how you will feel the most JOY? If you knew it was the easiest and most joyful way to attract $$$$$$$$…? If you knew it would allow you to spend more time with people you love, in places you love, and doing what you love to do? How would you answer each of the questions above? You're answers will help you know what will help you enjoy your life and give what you are here to give. One of my answers — that still keeps showing up — is that I would write and publish my book, The Art of Living a Life You Love. It is published and available on amazon. Now I am in the process of checking the audio recordings for my book. My intention is for my book to help people go from feeling OK — or even depressed — to feeling good and then to feeling fully alive and blessed with a life of love. I hope you will ask yourself the questions and give yourself the gift of answering them on paper. When you get clear on what you want — and why — answers for how to do it will begin to show up. Will you answer the questions? I hope so because I wish you ALWAYS a life you love to live — a life of love, creativity, and joy. I wish you a life where you feel fully alive, enjoy each day, and are able to give all you want to give and live the life you most want to live. Happy New Year & New Decade! Let's begin 2010 with a clean slate — it's a New Year, a New Decade, and we are all ready to begin a new way of looking at life — we are all ready to be who we are born to be — to believe in our biggest DREAMS and to move toward them one step at a time. "Show Up" for your DREAMS and they will come true — at exactly the right time and in exactly the right way. What would your best life look like? Who would be part of your life? What would you see? What would you hear? How would you feel? Are you happy? Do you love your life? What did 2009 teach you about how you want to live your life? A treasured teacher of mine, Cheryl Richardson, wrote a message about some key things she wants to remember as life lessons from 2009. What she wrote about in her list — of life lessons to remember from 2009 — are all things I learned from it as well. If you would like to read Cheryl's list of lessons from 2009 click here. What about you? What did you learn from 2009? What life lessons do you want to remember? What colors would you like to choose to paint your reality beginning with this year? I hope you will decide how you want to feel — and what you want to be real for you. My book The Art of Living a Life You Love can help you create a life of love, creativity, and joy. Will you join me in making this the most joyful year — and the best decade — you can imagine? If you have any questions about my book, or about any of the messages on my blog, please email me. While our son was growing up I began to wonder, "What is an outstanding environment for children?" I decided that, for me, it is an environment where children feel loved, appreciated, feel good about themselves, are helped to explore their interests, and feel inspired to keep learning. Then I began to ask myself, "How can we help create an outstanding environment for our child?" In his Nightingale-Conant audio CD program, "What Do You Really Want for Your Children?" Dr. Wayne Dyer encourages parents to become role models of the kind of behavior, beliefs, values, and attitudes that we would like our children to develop. While listening to Dr. Dyer my husband and I were reminded that children model what they see their parents do and what they hear them say. Dr. Dyer’s funny stories about raising his own children helped me realize that as parents we can make the choice to become a better role model for our children in the areas where we feel we need to set a better example. Learning that my son would be modeling my beliefs and behavior inspired me to pay attention to my current set of beliefs and my own behavior. I took a good look at myself and I realized that there were plenty of ways I could be a better example for my son. I began to work on goals to help me be a better mom and be a better role model for him. 1. What BEHAVIOR do I want my child to model? 2. What BELIEFS do I want my child to model? 3. What VALUES do I want my child to model? 4. What do I want my child to SEE me do? 5. What do I want my child to HEAR me say? What do the children in your life see you doing? Do they see you reading? Writing? Learning? Exercising? Eating healthy foods? Giving your time to help others? Doing work you enjoy? Making a positive difference in the lives of people who know you? Do they see you as someone who decided you knew it all once you finished school? Or do they see you as someone who enjoys learning and intends to be a life-long learner? What do they hear you saying? Do they often hear you comparing what you have (or don’t have) with other people? Or do they hear you talking about how grateful you are for all that you DO have in your life? Dr. Dyer also believes in “catching kids doing things right.” He suggests that parents give MORE attention for a child's good behavior than for bad behavior. (He says that too often kids get MORE attention for behaving badly than they do for good behavior.) What gets more of your attention? Kids who get attention for behaving badly will continue doing things that get them attention because even negative attention is better than none! We have found it to be true, as Dr. Dyer says, that if parents notice and reward good behavior their children will enjoy the positive attention and they will want to do more things that get them the positive attention that feels so good. Teachers who love to teach can also be positive role models for children. They can help children enjoy learning by providing a positive classroom environment that inspires and encourages children to do their best. Because we have found Dr. Dyer’s advice to be the best we have received as parents we donated copies of his book, and the inspiring audio program, to the libraries in our son's elementary and middle school. Dr. Dyer’s advice has helped us feel amazing amounts of love and joy as parents. Even now I sometimes listen to the CDs while driving in my car. The CDs are full of reminders to do what we know in our hearts will make a difference for us — and for all of the children in our Circle of Influence. I am glad we listened to Dr. Dyer's advice and have kept looking for ways to be a better example for our son. We can each make the decision to do what we can to help create an outstanding environment for children. Think of the difference it makes for children to have positive role models at home, in school, in sports and in other community activities as well. Feeling good about themselves helps children learn and it helps them enjoy life. A child’s environment — especially the people in it — greatly influence the mental, emotional, and social development of the child. Positive attitudes, beliefs, and habits greatly increase a child’s success in school and they can also help children have better relationships with the people in their life — now and in years to come. An interesting thing to note is that an outstanding environment for children is also an outstanding environment for us as adults. The people we spend time with continue to influence us and we continue to influence them. I encourage you to spend as much time as you can with people who have a positive influence on you. What helps create an outstanding environment for everyone? What will you do to help create an inspiring and outstanding environment for the children — and adults — who are in your Circle of Influence? Today I am celebrating Louise Hay's birthday. Happy Birthday Louise!!! Louise Hay has been a treasured teacher and mentor for me ever since I first read her book, You Can Heal Your Life, in the first part of 2005. It was in 2005 that I bought my mom a copy of Louise's book in the gift edition. My mom loved the beautiful illustrations and the loving words of Louise Hay. I had a copy of the book on my shelf — that I had purchased because it was so beautiful — but I hadn't read it because I was thinking that my life was already "healed" and as happy as possible. Then, while my mom began to read the book, I decided to read my copy of it each night before going to sleep. What I discovered right away is this: We can all "heal" our life because it is infinite how healthy and happy we can be. In 2005 I felt inspired to go to my first “I Can Do It!” conference in Las Vegas so I could meet Louise Hay and find out more ways to help my mom heal. The conference was so inspiring that I decided to go again every year. My mom was inspired by the story of how Louise Hay had healed from her cancer. She took the book with her to all of her doctor appointments and chemo treatments. Louise Hay helped my mom believe that she could heal from her lung cancer and it became reality — my mom was in remission from it during the last year of her life. My mom was one of the most unconditionally loving people I’ve ever known but it took Louise Hay to help her realize that unconditional love was the greatest gift she could give herself. Seeing what it did for my mom helped me realize the power of unconditional love. Now I truly believe unconditional love is the greatest gift you can give yourself. The photo of me with Louise Hay, above, was taken at the Las Vegas "I Can Do It!" conference on what would have been my mom's 76th birthay — May 20, 2007. Right after the photo was taken, I was interviewed for the movie they were making about Louise Hay. The interview didn't make it into the movie but I will always remember how good it felt to be able to tell the story of how Louise Hay helped my mom be as healthy and joyful during her last couple of years as was possible. I am so glad I had some time to talk with Louise Hay and tell her thank you in person. The last two years of my mom’s life were filled with joy and a large part of that was thanks to what we learned from Louise Hay. I am very grateful for Louise Hay, her books, CDs, and her “I Can Do It!” conferences. Her company, Hay House, publishes most of my most treasured teachers’ books. I am thankful that Louise Hay believed in her dream to publish her books and start Hay House publishing. Louise is a joy guide in my life and the lives of people all over our planet. During the past few years I’ve felt more joy than I ever dreamed was possible thanks to Louise Hay and am very grateful for the joy she has helped me feel. If you would like to be as healthy and happy as you can be, I encourage you to read Louise Hay's book, You Can Heal Your Life. I also encourage you to watch her DVD movie, You Can Heal Your Life the Movie. Louise Hay wants us all to live a life of love. She wants us to be loving and kind to our own mind. She wants us to learn, grow, and share what we know. I know that Louise would join me in asking you to please give yourself — and everyone in your Circle of Influence — the gift of unconditional love, today and always. Louise, thank you for being a bright light shining your love on all who are in your always expanding Circle of Influence. Thank you for helping us love ourselves, heal our lives, and live with joy. I wish you a joyful and fun birthday celebration today!!! Today as we celebrate Louise Hay's birthday, please decide to love yourself and your life! Yesterday I achieved an exciting long-range health and fitness goal. Here is what I've learned is true: By visualizing my desired outcomes I get inspired to take the actions that allow me to achieve my goal. To inspire me to take actions and "show up" for this long-range goal, I created a "vision board" for health and fitness. My "vision board" inspires me to exercise, track my "points" (which also means to watch portion sizes), and eat foods that help me look and feel my best. My vision board did help me achieve my desired outcome. Following is the "vision board" that helped me. It is a combination of photos, quotes, and reminders. "Become the change you want to see. Those are words I live by." "What we believe becomes our reality." "A belief is just a thought and thoughts can be changed." "By visualizing my desired outcome, the perfect action is always inspired." What would you like to visualize? What outcomes do you want to create? Would it help you to create a "vision board" to remind you of your desired outcomes? The "vision board" in this message inspires me to keep "showing up" for my health and fitness goals. What would you like to inspire yourself to do? Decide what outcomes you want and then — visualize yourself enjoying your desired outcomes! 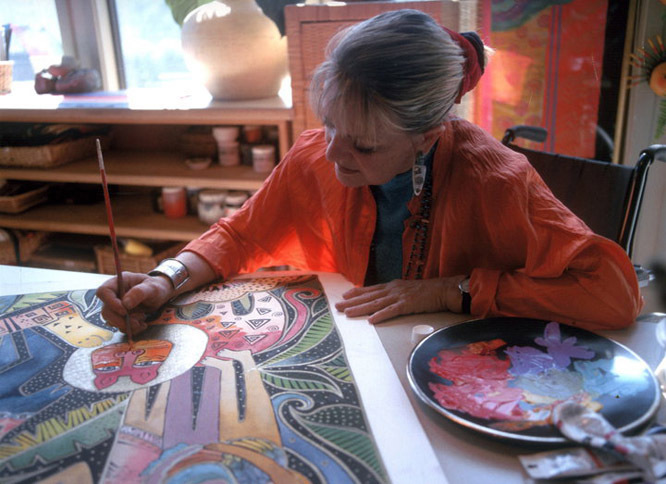 Laurel Burch was a treasured friend and kindred spirit. She inspired me to use more of my own creativity. She showed us all that courage comes from your heart — for having passion for what you do. 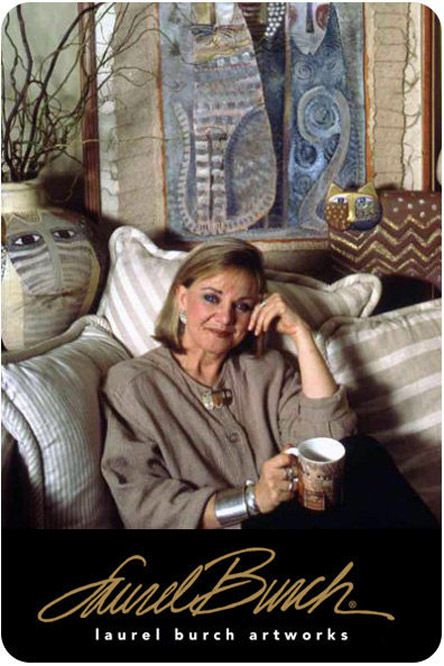 She created her art as gifts — when she first started making jewelry — but in my opinion her art was always her way of giving to others. Her beautiful, colorful, playful art makes people feel good. I will always remember the joy I felt each time I was able to spend time with Laurel. Her positive attitude and energy made her a joy to be near. I wish we had more time with her! Please take a moment to visit Laurel's website and see her art. The photo, below, is of me with Laurel at Book Passage, on February 2, 2002, at an all day event in her honor. My mom and my sister Tina drove to Marin to be there. My brother Duane was living here in Marin at the time and took this photo. My mom, sister, brother, husband, and son were all in the front row with me for this wonderful, inspiring, and joyful event. I will always remember the joy we were all feeling as we heard Laurel tell her stories, show a video by her daughter Aarin Burch, and then sign books and prints with her gold pen. I treasure the memories I have with Laurel — that day and all of the other times I was able to spend time with her in person, to hug her and talk with her, to hear her views on life, love, and how we are all connected through our love. Laurel was one of the most unconditionally loving people I've ever known. She inspired me to be more unconditional in my love and to feel a connection with all people, animals, and to savor my time here on Earth. The illustration on the cover of my book, The Art of Living a Life You Love, was inspired by Laurel and her art. Laurel had given me permission to use her paint palette on the cover. When I was at her memorial I saw a beautiful painting of people with their arms connected and showing love and joy. My husband created the playful, colorful people for the cover of my book and they are dancing on Laurel's paint palette showing us that we can each be the color we are born to be and we can all play together, dance together, sing together, and love the life we are living. Following are two of Laurel's playful, fun, and colorful paintings. I love her use of color. She has colorful art like these and also other palettes with earth tones. I encourage you to take a look at the art on her website and see the beautiful paintings, jewelry, scarves, coffee mugs, and other gifts created by Laurel. I also encourage you to take a moment today to watch a short video of Laurel talking about her art. You will hear and see the passion Laurel has for her art and the love she exudes for all who are in her Circle of Influence. Today, in honor of Laurel, please do something creative. What do you feel inspired to do? Sing? Write? Dance? Play music? Cook a beautiful meal? Decorate a room? Whatever you feel inspired to do, begin. Allow yourself to be the creative being you were born to be! My new — and treasured — friend, Anna Taylor, is visiting from England to record songs she has written with my long-time treasured friend Robert Berry. The songs are being recorded at Robert's recording studio, Soundtek Studios, in Campbell, California. A week ago I went to pick her up at the recording studio. I got to hear one of her songs and it sounded beautiful. Here is a photo of me with Anna at the recording studio. Spending time with Anna inspires me. I am so glad to have had time with her last weekend. We had so much fun having Anna here and showing her some favorite places to see in Sausalito and San Francisco. Today Anna will be singing the song "A Hundred Thousand Angels" to open Doreen Virtue's event, in Los Angeles. I wish I could be there to see and hear her sing the song! In my opinion, Anna is an Angel here on Earth. I feel certain you will enjoy hearing her songs. Hearing her sing makes me feel joy. Questions help us instantly change our focus. Following are some of my favorite questions for changing how I look at things, which changes how I feel, and then I feel inspired to take action to create my most desired results. See which questions, below, resonate with you. 2. What do I appreciate? 3. Who am I thankful for? 4. What am I happy about? 5. What am I excited about? What do I want to remember? What do you want to remind me? What will I be glad I did? 1. What’s good about this? 2. What outcomes do I want? 3. What am I willing to stop doing? 4. What am I willing to do? 5. How can I get the results I want? 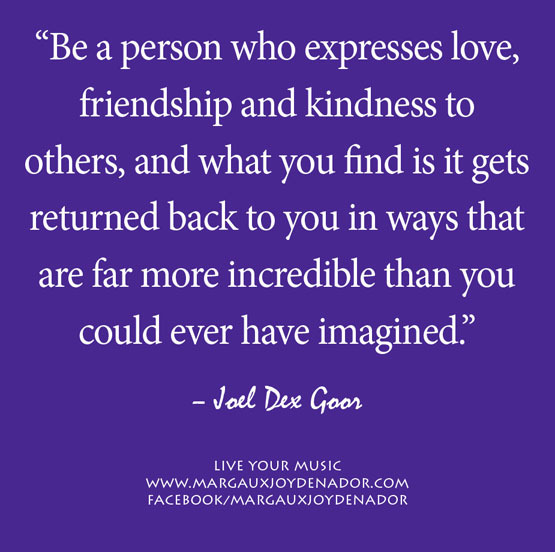 Are you living your music? How would your best life feel? How would your best life sound? Are you becoming all you can be? Are you giving the gifts you are here to give? Are you living the way you most want to live? What are your favorite questions? I would love to hear. Please send me an email and tell me your favorite questions and why they are your favorites.